In the months leading up to the UW Flex launch, IT department leaders put out RFPs to find technology solutions suitable for the UW Flexible Option. Responses revealed that no end-to-end solutions existed, so they explored what the department could buy and modify and what staff would need to build. They found products on the market that could support some CBE efforts but would require modifications to meet needs of the UW Flexible Option direct assessment CBE model. To complete these modifications, IT staff would have to thoroughly understand the UW Flex model and vision and then translate that into processes. IT staff also would have to familiarize themselves with front-end and back-end operations and make all work together—ideally seamlessly for students, staff, and faculty. This work represented a departure from the department’s pre-Flex focus on operations and maintenance of purchased technology systems. The IT Staffing section of this website provides additional details on this transformation. Direct assessment CBE requires fundamental change in operations for asynchronous delivery, enrollment and payment by subscription period, competency mastery versus grades/credits to measure progress, and personalization of the learning experience. IT staff, for example, had to consider implications of 12 start dates per year in the non-term UW Flexible Option model, and implications of the disaggregated role of instructors and the addition of the Academic Success Coach role. They explored technology user roles to understand who needed access to student records in multiple systems for specific actions at various steps in the student lifecycle. They created user stories by business area—such as admissions, enrollment, and registration— to help them define a minimal viable product. Agile project management allowed IT staff to remain nimble as they developed technology systems for the UW Flexible Option. Project managers formed and led workgroups to tackle one problem at a time. 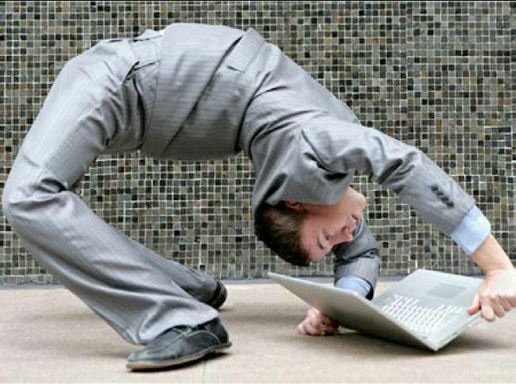 Following agile development principles, workgroups remained nimble. They could respond to evolving requirements as business processes were clarified and continue testing and improving technology. For example, while building registration and billing functions, IT staff mocked up screens, asked admissions and bursar staff and Academic Success Coaches for feedback on the workability for their needs, made improvements accordingly, and shared revised prototype screens. 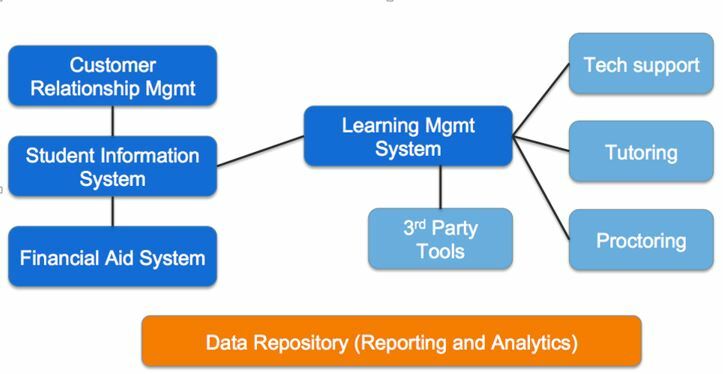 Reporting via dashboards helped workgroups communicate their progress, drive project management, and facilitate collaboration across workgroups. They envisioned a nine-component Student Engagement System (SES) to meet UW Flexible Option technology system needs. However, they established priorities that would provide the greatest return for the least risk first. Through this approach, they rapidly developed a minimal viable product with only core features of the SES, such as the customer relationship management and learning management systems, in place first and expanded functionality to follow in later development cycles. UW Flex IT leaders realized that problem-solving for a new modality would require “thinking time” to wrestle with the issues, collaborate with colleagues and with peers outside the institution, and learn through training and pilot testing. IT leaders and technologists networked and built relationships with IT peers and IT communities outside of the UW System who also were working through challenges related to direct assessment CBE. These included, in part, IMS Global, the Competency-Based Education Network, Salesforce and other schools using Salesforce, Southern New Hampshire, Western Governors Association, Northern Arizona, and Brandman. Set a deadline to make a given decision. Don’t wait for the perfect solution. Accept the best solution available at that point. Test and tweak (or replace) a given solution. Celebrate and build on small successes. You know so little at the beginning, so it’s important to not make all your decisions upfront. Only make decisions you have to and wait to make others until you are more informed. UW Flex IT leaders recognized the importance of over-communicating the challenges and the progress toward solutions. They helped set expectations about what the technology available at that time could and couldn’t do and about the resources required for research, development, and implementation of modified technology systems to seamlessly support a direct assessment CBE model in a multi-institution university system. For Flex leaders, the IT team also pointed out benefits of defining and documenting business practices well before investing in an expensive system. They noted advantages of working out bugs with a small student population before codifying immature or bad business processes in that technology. For example, the application process includes the roles of the applicant, the enrollment advisor, the admission advisor, and the Academic Success Coach, so technologists had to clarify what happens, who does it, and in which system they do it. Your practice should drive your system. Your system should not drive your practice. UW Flex early steps: Unlike most institutions exploring competency-based education, UW-Extension had no enterprise resource planning systems (ERPs). The central operations staff previously had interacted with ERPs only via campus partners in programs offered through collaborations between UW-Extension and other UW System institutions, such as several online degree programs. UW-Extension lacked experience with ERP technology implementation and upgrades. The UW Flex business model, however, was built around centralized operations provided by UW-Extension. When UW Flex launched in 2014, UW-Extension had no student records system in place. UW Flex staff identified nine systems that would be necessary. 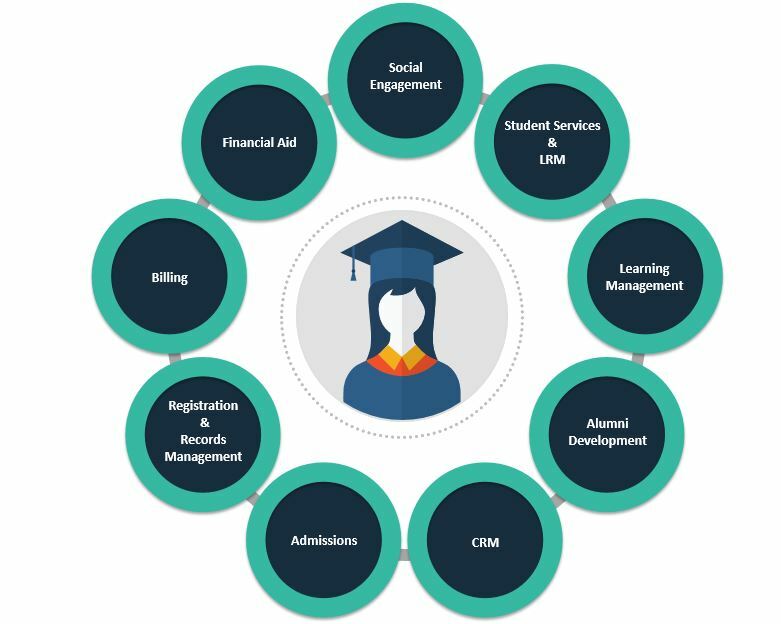 While most student services functions were centralized, the billing/bursar, registration and records management, and financial aid functions launched through the first cohort of institutional partners (UW Colleges and UW-Milwaukee). UW-Extension since has centralized financial aid. Looking forward from 2017: UW-Extension became a degree-granting institution as of December 2016, with its first degree being a UW Flexible Option Bachelor of Science in Business Administration (BSBA). This change necessitated the development of an admissions module and registration and bursar functionality to support this first UW-Extension degree. UW-Extension IT staff also continue to build and develop a comprehensive Student Engagement System (SES) to support the UW Flexible Option overall. As the SES expands to support existing UW Flexible Option programs, feedback and input will be sought from existing partners. In addition, a survey to determine the impact of the UW Flex experience on former students will be part of the alumni tool, one of nine components of the SES. UW Flex early steps: The challenges of serving students in a self-paced, competency-based program prompted a search for a new suite of technological capabilities. For a high-touch program such as UW Flex, the central operations staff needed technology systems that would allow central and partner institutions’ staff and faculty to access up-to-date interactions with prospective and current students to see their status, reach out to them for marketing and other purposes, and otherwise manage relationships with them. UW-Extension eventually purchased Salesforce as the customer relationship management (CRM) system. While a CRM can be used in any kind of higher education program, the same is not true for the student information system (SIS). Existing student information systems may have been adaptable for competency-based education programs closely aligned with courses and credits; however, none would accommodate a non-term direct-assessment CBE model like the UW Flexible Option. At the time UW Flex launched in 2014, most UW campuses used the same SIS but had their own highly customized instance, providing an additional challenge for centralizing data. Like other traditional SIS, their systems were built for back-end operations rather than for engaging learners, which is central to the UW Flex approach. Some operations could not be centralized in the early years of Flex. That included financial aid, as the SIS could not track records for two types of financial aid: traditional term-based awards and the awards for a non-term program like UW Flex. The first cohort of campus partners assumed responsibility for some operations in their academic programs. Looking forward from 2017: UW-Extension IT staff continue to build and develop a comprehensive Student Engagement System (SES) to support the success of learners in the UW Flexible Option. Next steps include building transcription and graduation functions and an alumni tool (building on 2017 pilot testing of a post-Flex student survey), and soliciting institutional partners’ feedback on SES expansions. The social interaction component of the SES will follow. 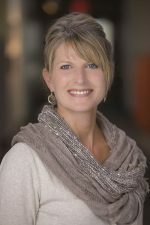 “A 360 degree view of the student lifecycle visible both to staff and the learner creates engagement and insight,” UW-Extension IT Director Andrea Deau writes in this blog post about the SES and talks about, with colleague Angela Meidl in a video. Angela Meidl and Andrea Deau discuss features of the Student Engagement System and show the student portal. 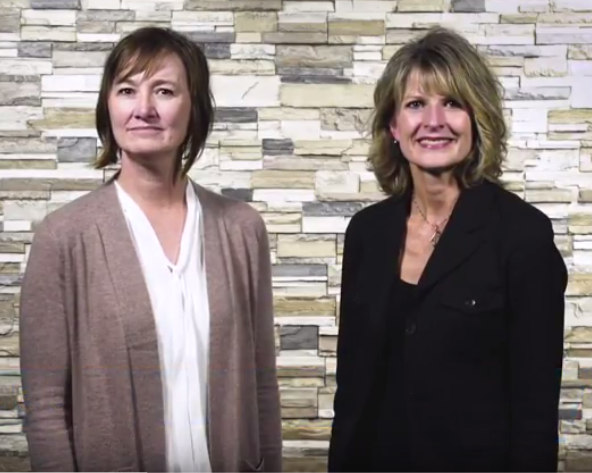 Angela Meidl and Andrea Deau explain and show how the Student Engagement System supports student success in the UW Flexible Option.